+ Every game comes with original art and audio, including additional assets to build upon each lesson. HTML5 Game Development with GameMaker will show you how to make and release browser based games using practical examples. 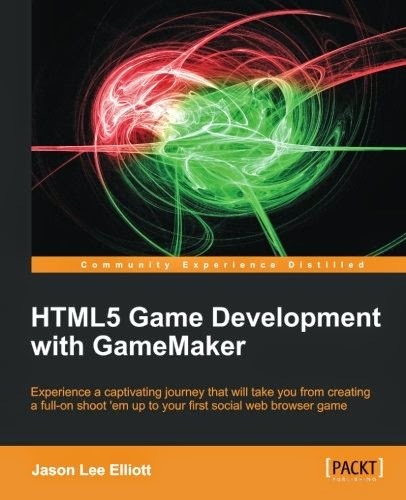 This book utilizes GameMaker's powerful scripting language allowing you to create your first game in no time. With this guide you will develop a thorough skill set and a coherent understanding of the tools to develop games of increasing complexity, gradually enhancing your coding abilities and taking them to a whole new level. The book is a friendly but explosive reference for all skill levels, with several action packed projects. You will develop the ability to build games from scratch with a comprehensive practical tutorial guide. This book is assured to boost your skill set to another level. This book is for anyone with a passion to create fun and action packed web browser games using GameMaker Studio. This intuitive practical guide appeals to both beginners and advanced users wanting to create and release online games to share with the world, using the powerful GameMaker tool.